Most Freeview boxes only work when connected to a TV using a SCART lead. 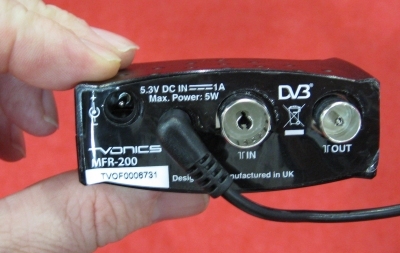 The TVonics MFR-200 works with TV sets that don’t have a SCART socket. 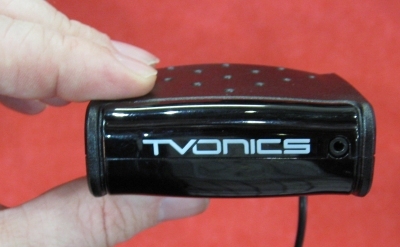 The MFR-200, from TVonics, is a tiny Freeview receiver. 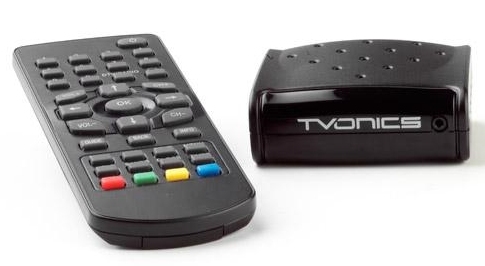 Most Freeview boxes connect to a TV’s SCART socket, but what if you have an older TV that doesn’t have a SCART socket, or you have a portable telly that you want to get ready for the Digital Switch? This unit keeps its size down by not having a SCART socket. 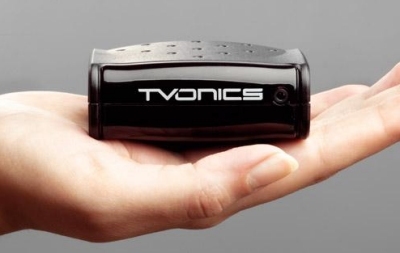 Instead, it has an RF modulator, that means that you can plug it in to a TV set via the standard aerial cable, then simply tune the TV in to the output of the TVonics Freeview receiver. The upshot – no need to replace a TV set that doesn’t have a SCART socket, and you can convert any TV to a Freeview receiver to get over 40 channels of digital TV. Alternatives: If you’re struggling to find this model, we’d also recommend the Icecrypt T5000, which also works on TV sets that don’t have a SCART socket.